At the following conferences, workshops, congresses or trade fairs you can inform yourself about the SUNLIQUID project. The 27th European Biomass Conference and Exhibition (EUBCE) combines one of the largest biomass science and technology conferences with a high quality industry exhibition. Biomass professionals from around the globe are invited to join the event. The conference programme addresses topics from biomass to bioliquids and biofuels for heat and electricity, transport and bio-based products. It covers all aspects of each value chain, from supply and logistics to conversion technologies, from industrial application of research results to impacts on the environment, from market and trade aspects to policy strategies. The role of biomass as a source in integrated energy systems is also part of the agenda. SUNLIQUID project coordinator Clariant gives an insight into the “Sustainable Development of Innovative Technologies” within the session “Biomass industry perspectives to meet sustainable development and climate goals”. Please click here for further information in German. The 2019 German Biotech Days (DBT), offer a forum for all stakeholders in Germany’s biotech scene to exchange views and experiences. The Bavarian Research and Innovation Agency (BayFIA) will take part in the event and inform visitors about its service portfolio. Since 2010, the Council of German BioRegions in BIO Deutschland has put on the German Biotech Days, an annual two-day event: The DBT. This event is a meeting place for more than 850 representatives from the worlds of business, science and government, including partners from funding institutions and public administration. Through a series of talks, panel discussions and breakfast sessions, the conference discusses the conditions for innovation in biotechnology and the wide range of biotech applications. In addition, an accompanying exhibition will give companies, research institutes, associations and organizations an opportunity to present themselves to conference attendees. The Bavarian Research and Innovation Agency will be present at the exhibition and inform about issues related to research and innovation funding, knowledge and technology transfer, patents, licences and business start-ups. The Bavarian Research Alliance (BayFOR), part of the SUNLIQUID consortium, will join the event as a partner within the Bavarian Research and Innovation Agency (BayFIA). Interested stakeholders from science and industry will be provided with information on European funding opportunities in the field of Biotechnology. Moreover, the BayFOR can help with finding Bavarian partners from Universities and SME for international research and innovation projects. For international attendees a programme in English is offered at the first conference day. Simultaneous translation in English will be provided for the opening plenary. Selected talks will also be given in English as indicated in the programme. All international participants are welcome to join the networking reception on Tuesday evening. A DBT day pass covering the English tracks and the networking party on Tuesday evening (first day) is 250 €. As one of the leading events on Carbon Capture and Utilization in the world, the 7th edition of the Conference on Carbon Dioxide as Feedstock for fuels will tackle important topics in this field like carbon capture, hydrogen, fuels for cars and aviation, chemicals and polymers as well as mineralisation. Attendees will have the opportunity to meet leading international experts in CO2 utilization. The IBB Netzwerk GmbH, who is part of the SUNLIQUID consortium, will take part in the event as a partner. In addition, 20 exhibitors are expected to attend the conference. Carbon Capture and Utilization opens a whole new fast-moving industry-driven innovation area to stakeholders. A lot of companies have already started pilot projects, demonstrations and even began to plan and build commercial plants. Furthermore, political framework conditions have constantly improved. Hence the new version of the Renewable Energy Directive (RED II) offers a lot of possibilities concerning the uses of CO2, including the use of industrial exhaust gases for all types of fuels. 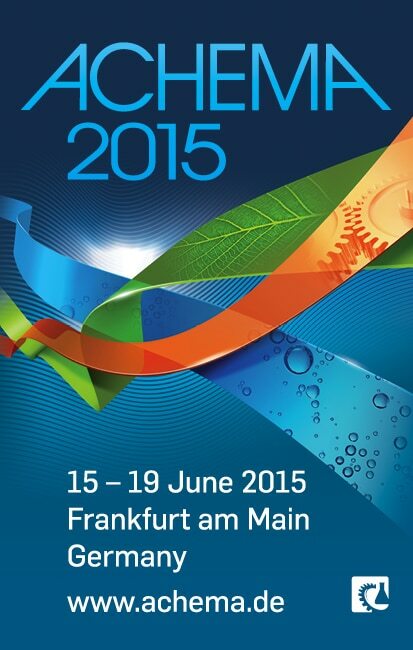 During the conference, leading players will showcase enhanced and new applications using CO2 as feedstock. The main topics of the conference are the new political framework, renewable energy and hydrogen production, carbon capture technologies as well as CO2-based fuels for transport and aviation, chemicals and polymers as well as mineralisation. Aere găsiți mai multe informații despre fabrică de etanol celulozic și despre beneficiile acesteia pentru fermierii locali. On 5th March, Clariant invites farmers from the Oltenia region to a workshop on the new cellulosic ethanol plant in Podari near Craiova. Cellulosic ethanol is produced from agricultural residues such as wheat straw, which are to be sourced from local farmers. This will offer the farmers an alternative use for their straw, which will increase their revenues. Workshop participants will be informed about how they can benefit from a large-scale industry in their area and how a cooperation could look like. The event is also addressed at local politicians, Romanian farmer organizations, producers of agricultural machines and logistics companies for the transport. On the agenda is the presentation of the project “Construction of a cellulosic ethanol flagship plant in Podari” with a short review of the ground-breaking event in September 2018. Furthermore, participants will receive detailed information on the supply chain of the straw with a special emphasis on timely straw collection processes as well as on the machines needed, on leasing possibilities and participating equipment manufacturers. The benefits of working with Clariant, such as extra income, costs reduction and long-term contracts, will also be highlighted. In September 2018, Clariant officially started the construction of the first commercial-scale production plant for cellulosic ethanol made from agricultural residues, based on the sunliquid® technology. The sunliquid® plant will need up to 300,000 tons of cereal straw per year for the conversion into cellulosic ethanol. The feedstock will be supplied through a solid supply chain system from a strong network of local farmers. About 250 local farmers will have the opportunity to become an official and reliable straw supplier for the plant. Please find here more information on the cellulosic ethanol plant and its benefits for local farmers. The 17th International Sugar and Ethanol Conference, which will be held on November 6 and 7, 2017, is one of the major events in the global sugar and ethanol schedule. The focus will remain on rendering value to market content, spreading knowledge of new technologies and public policies, as well as encouraging the networking between participants. SUNLIQUID project coordinator Clariant will participate as a sponsor and Martin Mitchell, Business Development Manager Americas at Clariant will take part in the panel “Potential of Corn Ethanol & Second Gen Ethanol” on Monday, November 6 at 16:30. ABLC NEXT is a connected series of five conferences on the most important issues in the Bioeconomy right now. These conferences-within-a-conference will deal with topics such as advanced fuels, renewable chemicals and biomaterials, sustainable brands, advanced nutrition and biofrontiers. SUNLIQUID project coordinator Clariant will participate as a sponsor and speaker at the Advanced Biofuels Summit on October 17, which focuses on Advanced Biomass Diesel, BioCrude, Advanced Alcohols and Alternatives to gasoline. Following the success of the last five International Conferences on Lignocellulosic Ethanol, the European Commission and Sponsors from the industry are organizing the 6th International Conference on Lignocellulosic Ethanol in Brussels from 27 to 28 September, 2017. The conference will feature panel discussions on topics such as new technological developments, market deployment strategies as well as necessary policy frameworks for the establishment of lignocellulosic ethanol. The ICLE provides an excellent opportunity for shareholders from science, industryand politics to share insights from their respective sectors. SUNLIQUID project coordinator Clariant will take part in the event as a sponsor and present their award-winning sunliquid® technology. 9:30-13:00: Pre-Conference Workshop: Sustainable lignocellulosic biomass: How best to integrate sustainability in project planning? Participation id free of charge. For further information please see this 6ICLE Announcement. Clariant will take part in a panel discussion at the BIO World Congress on Industrial Biotechnology that will take place in Montréal from 23 to 26 July 2017. The topic of the discussion, that is scheduled on Wednesday, July 26th from 10:30 till 11:45, is “Advanced Bioethanol Technologies”. It will explore the opportunities for new ethanol technologies and markets driven by the emergence of advanced bioethanol technologies. The BIO World Congress on Industrial Biotechnology provides a unique forum for business executives, government officials, academic researchers and industry leaders to share the latest advances in renewable chemicals, synthetic biology, enzymes, food ingredients and biofuels. Which opportunities does the bioeconomy offer for a sustainable development of Bavaria and how can they be used? The Advisory Council “Bioeconomy Bavaria” will investigate and discuss this topic in its event “Opportunities of a sustainable bioeconomy in Bavaria”. Products, technologies and processes show how the transformation to a sustainable, bio-based economy can be implemented in Bavaria. Clariant will contribute to answering this question by presenting its sunliquid® technology for the production of cellulosic ethanol from agricultural residues. Please register here until 28th April 2017. The WBM event gathers industry leaders and decision-makers driving growth and innovation throughout the bioeconomy. Workshops, keynote speeches and panel discussions will provide a valuable insight into the entire biofuels value chain. Conference participants will benefit from excellent networking opportunities and can find new industry partners for their projects. Clariant will join the event as a speaker, presenting its sunliquid® process for the sustainable production of cellulosic ethanol from agricultural residues. For further information please download the agenda. The IBB GmbH invites you to its political workshop “Antrieb für Deutschlands Wirtschaft: Fortschrittliche Biokraftstoffe”. This workshop aims to set the course for sustainable, autonomous, and economically friendly future German energy policy. The language of the event is German. Further information can be found here. The event is free of charge. Due to limited space registration is mandatory. Please register here by 9th September 2016. The workshop receives funding from the European Union’s Seventh Framework Programme for research, technological development and demonstration (FP7/2007-2013) in the context of the project SUNLIQUID. In preparation of our political workshop “Antrieb für Deutschlands Wirtschaft: Fortschrittliche Biokraftstoffe” (further information here) which will take place on the 20th of September, 2016 in the Federal Press Conference in Berlin the IBB Netzwerk GmbH is hosting a press conference. Journalists and members of press offices are invited to join an open discussion (1.5 hours) in order to debate with experts. The event is free of charge. Due to limited space registration is mandatory. Please register here by 26th August 2016. The press conference receives funding from the European Union’s Seventh Framework Programme for research, technological development and demonstration (FP7/2007-2013) in the context of the project SUNLIQUID. The Global Partnership (GBEP) brings together public, private and civil society stakeholders in a joint commitment to promote bioenergy for sustainable development. Until the 24th June, the 4th GBEP Bioenergy Week takes place in the Ministry of Agriculture of Hungary. Clariant is taking part in the Working Group on Capacity Building and is giving insights into experiences and opportunities on liquid biofuels and value chain approaches. On June 7th Clariant will hold a lecture on “Cellulosic Ethanol: Commercialization and Application in Biofuels and Biochemicals” and present the sunliquid© technology during the industry-oriented session on Sustainability of Bioenergy and Biofuel Projects at the European Biomass Conference and Exhibition (EUBCE). EUBCE is the largest international conference focused on biomass in Europe. The conference is an important platform for political, economic and scientific actors to discuss the situation and trends in the current bioenergy market. Moreover, conference participants benefit from excellent networking opportunities and can find new industry partners for their projects. The Congress F.O. Licht’s Sugar & Ethanol Brazil is bringing together mills, producers, buyers and investors to present and discuss latest information on the sugar and ethanol market in Brazil and the rest of the world. With more than 100 people from across the sugar and ethanol industry, the congress provides an excellent network opportunity. Renowned representatives from the global sugar and ethanol community will discuss latest trends in sugarcane availability, the sugar/ethanol split and prices as well as new investments and new policy developments in Brazil. Clariant’s sunliquid® technology as a conversion platform for lignocellullosic ethanol will also be presented during the congress. The Industrial Biotechnology Forum (IBF) 2016 focuses on the core fields of industrial biotechnology – enzyme engineering, metabolic engineering, bioprocess engineering, and bioseparation engineering. As the launching event of a biennial conference, the IBF 2016 intends to initiate an interdisciplinary exchange and productive discussion on current trends, recent scientific results and future technologies in the field of Industrial Biotechnology science. At the conference, interested visitors will also have the opportunity to receive some interesting information about the SUNLIQUID project for the commercial production of cellulosic ethanol. The Industrial Biotechnolgy Forum is organized by the Industrielle Biotechnologie Bayern Netzwerk GmbH with scientific support provided by the TUM Research Center for Industrial Biotechnology. Clariant will take part in the 11th World Bio Markets (WBM) event that will take place in Amsterdam from 14th till 17th March 2016. The WBM event gathers industry leaders and decision-makers driving growth and innovation throughout the bioeconomy. Workshops, keynote speeches and panel discussions will provide a valuable insight into the entire biofuels value chain. Conference participants benefit from excellent networking opportunities and can find new industry partners for their projects. Clariant will deliver a speech on “Cellulosic fuels: first commercials and beyond” at the Advanced Bioeconomy Leadership Conference (ABLC) 2016 in Washington DC on 18th February. ABLC is an important event in the field of advanced bioeconomy. Industry leaders will discuss real issues in advanced low carbon fuels, chemicals, and materials, advanced foods, seed and trait development, crop & soil technology, drones & robotics, and waste mitigation. For further information please see the agenda. Clariant will held a presentation on “Commercial Scale Production of Lignocellulosic Ethanol” at the Lignofuels 2016 conference on January 20th . Moreover, attendees of the conference will have the unique opportunity to visit the SUNLIQUID demonstration plant in Straubing on 19th January. The two day conference will bring together key lignofuels stakeholders to discuss current topics such as technological challenges in lignofuels production, policies & regulatory processes and optimization of existing pre-treatment processes. Clariant will deliver a speech on “Energy efficient and sustainable development and production of biobased fuels – selective use of enzymes and microorganisms” during the forum “Bioethanol: research & development for more efficiency” at the Fuels of the Future Conference on January 19th. The 13th International Conference on Biofuels with more than 500 participants from 30 countries is an important platform for political, economic and scientific actors to discuss current topics relevant for biofuels such as framework conditions, technical development, research, certification and market analyses. Clariant will hold a presentation at the Advanced Bioeconomy Leadership Conference (ABLCNext) in San Francisco on 4th November, 2015. The presentation will focus on Clariant’s sunliquid® process and will examine its key elements. The ABLCNext Conference provides an opportunity for industry representatives to gain an insight into bioeconomy-related topics, ranging from advanced low carbon fuels, chemicals and materials, advanced foods, seed and trait development, crop & soil technology, drones & robotics as well as waste mitigation. For further information, please see the agenda. Clariant will take part in the panel discussion “Process Pathways: Conversion Approaches on the Cusp of Commercialization” and deliver a speech at the 5th National Advanced Biofuel Conference & Expo in Omaha, from 26 to 28 October, 2015. The speech will focus on cellulosic ethanol and its commercialization and application. The Conference will feature more than 70 interesting presentations on advanced biofuels and biobased chemicals—technology scale-up, project finance, policy, national markets and more. The event is tailored for industrial, petroleum and agribusiness alliances defining America’s advanced biofuels industry. Clariant will give a lecture on “Commercial Scale Production of Cellulosic Ethanol” during the Advanced Biofuels session at the 8th Biofuels International Conference in Porto, Portugal, from 22 to 24 September, 2015. The conference will focus on the issues affecting the market including biofuels policy, international biofuels trading, sustainability, solutions for first generation producers, progress in advanced biofuels and information on feedstock pricing and trends. Moreover, the conference will provide an ideal platform to network with researchers, engineers, technologists, and developers. Clariant will take part in a panel discussion and deliver a speech at the Fifth International Conference on Lignocellulosic Ethanol (ICLE) in Brussels from 15 to 17 September, 2015. The panel discussion will focus on EU policy needs, and the speech will address cellulosic ethanol economics at the European level. ICLE is presented by the Directorate General for Energy of the European Commission, and provides an opportunity for scientific, industry, and policy leaders to share insights and challenges from their respective sectors. The focus of the 5th ICLE is on policy, with an emphasis on science and technology. Clariant will take part in the panel discussion “Second Generation Ethanol: A Global Reality” at the 5th Ethanol Summit. The Summit is one of the biggest events worldwide focusing on renewable energy, particularly ethanol and products derived from sugarcane. The main themes of the biennial Summit, are: the impact of the new reality on pre-salt crude and biofuels; renewable energy sources as protagonists in COP 21 (the United Nations Climate Change Conference); macroeconomic scenarios and the search for competitiveness for renewable energy sources; and the role of state governments in the competitiveness of the sugar-energy sector. Clariant will give a lecture on “Latest Insights on Lignocellulosic Biorefineries” during the Industrial Biotechnology session at the ACHEMA trade fair. 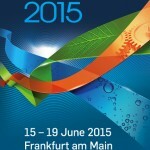 ACHEMA is the leading international trade fair for the process industry. More than 3,800 exhibitors will show new developments and future-oriented product ideas. “Environmental Protection” and “Biotechnology”, along with the three focus themes “BiobasedWorld”, “Process Analytical Technology” and “Industrial Water Management” are the main general topics of the fair. ACHEMA is an ideal platform for researchers, engineers, technologists, developers and users to exchange ideas and experience. Clariant will present the sunliquid® technology as a lignocellulose conversion platform and its commercialization and applications in fuels and chemicals during the industry-oriented session on Biochemical Conversion at the European Biomass Conference and Exhibition (EUBCE). EUBCE is the largest international conference focused on biomass in Europe. It is an excellent platform to bring together researchers, engineers, technologists, financial institutions and policy makers to discuss the situation and trends in the current bioenergy market. The main topics of the conference are progress in research, technological development and production process. Please register here until 30 March 2015. The 9th International Congress “Forum Life Science” will present the latest findings and developments in life sciences and their implementation in innovative technologies as well as new products in areas such as pharmaceutics, food and biotechnology. More than 1,000 participants from 20 countries and over 100 exhibitors will provide an excellent opportunity for making new industry contacts. In three parallel sessions “Pharma Development”, “Food & Nutrition” and “Industrial Biotechnology” more than 60 speakers from 10 countries will present current trends and strategies as well as the latest findings in these fields. At the booth of consortium member IBB Netzwerk GmbH, interested visitors will receive some information about the SUNLIQUID project for the commercial production of cellulosic ethanol. Please register here until 4th March 2015. “Fuels of the Future” is the flagship event of the German biofuels industry with more than 500 participants from 30 countries. The 12th international conference on biofuels is an important platform for political, economic and scientific actors to discuss current questions of the international biofuels policy, research and technological developments. A presentation on the excellent results of a fleet test using sunliquid® 20 fuel (contains 20% ethanol coming from straw), which has proven the practical applicability of lignocellulosic bioethanol, is also part of the agenda. The Advanced Bioeconomy Leadership Conference (ABLCNext) is an important event in the field of advanced biofuels and renewable chemicals CEOs and senior executives, business development, R&D leaders, strategic partners, financiers, equity analysts, policymakers and industry suppliers. The 17th World Ethanol and Biofuels congress is an excellent platform for an analysis of the ethanol and biofuels industry around the world, to find solutions to the problems that everyone is facing and to build on opportunities for future growth. With over 600 international participants, the congress provides an excellent networking opportunity. Renowned representatives from the global ethanol and biofuels community discuss and present political developments and initiatives, the supply/demand balance in key markets around the world, and the progress of new technologies. Clariant’s sunliquid® technology as a conversion platform for lignocellullosic ethanol will be presented during the congress. For further information please visit www.worldethanolandbiofuel.com. The World Bio Markets USA Conference is an international forum for the leaders in advanced biofuels and bio-based chemicals and presents new developments in these areas. In workshops, keynote speeches and panel discussions, the prerequisites for commercial scale production and an outlook on the future biofuel and bio-chemical markets will be presented. Conference participants have vast networking possibilities and can find new industry partners for their projects. The sunliquid® technology for the production of cellulosic ethanol from agricultural residues is also part of the agenda. The 4th Cooperation Forum “Biopolymers” gives an overview over new technologies and applications for technical biopolymers. Topics on the agenda are resource strategies for bio-based products, platform technologies for production of biopolymers, optimisation and functionalisation of biopolymers as well as applications in automotive, packaging, textile and food. The sunliquid® technology as a lignocellulose conversion platform and its applications in fuels and chemicals will also be presented. Please register here until 14th October 2014.